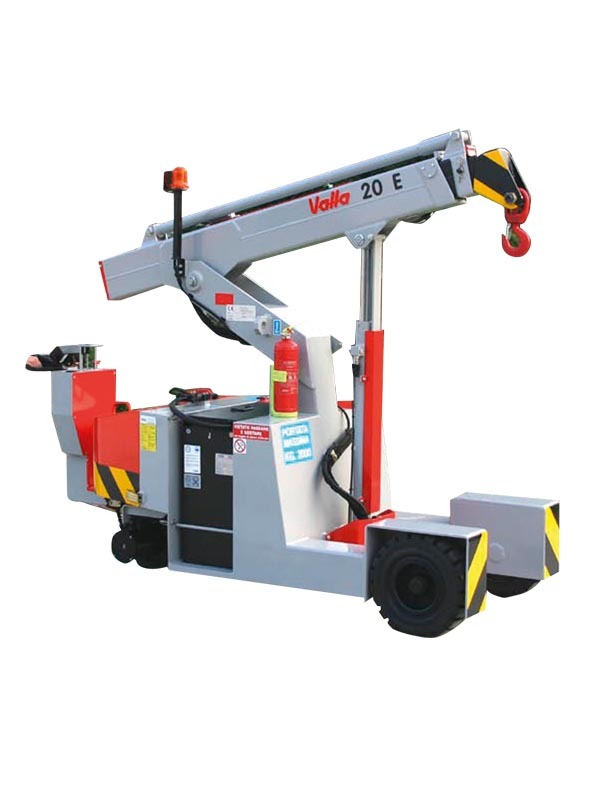 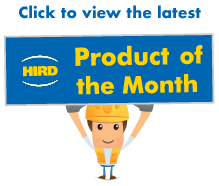 The Valla 20E mini crane is the smallest and lightest pick and carry crane in the Hird mini crane hire fleet. 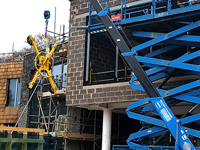 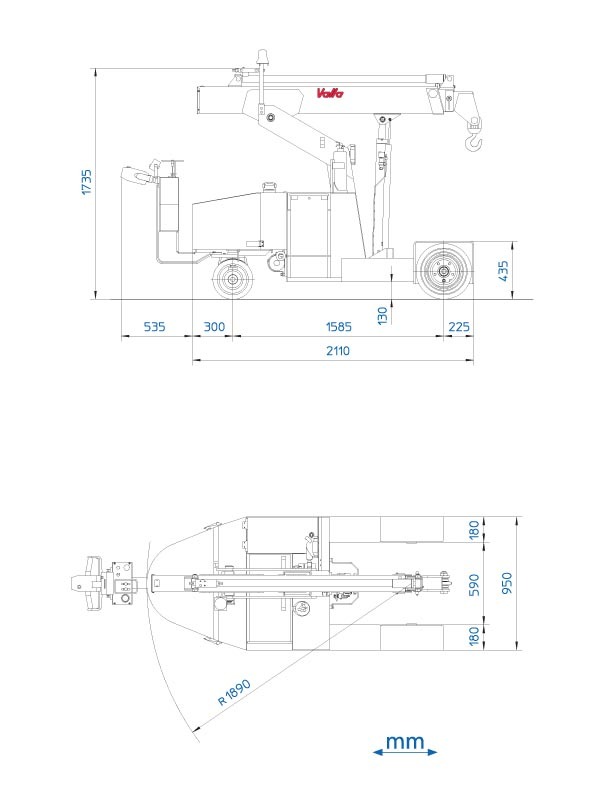 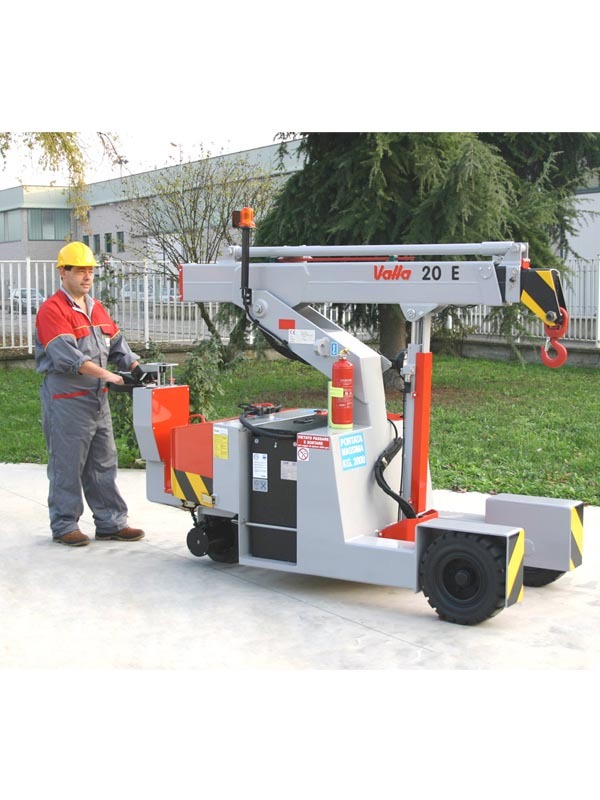 Valla mini cranes are designed to be operated with ease in confined spaces, allowing them to operate flexibly to complete lifting tasks that would be beyond other types of cranes. 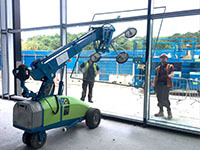 These pick and carry cranes are electric powered, with long-lasting batteries, which means they are fume free, so ideal for indoor lifting projects, making them popular small crane hire options. 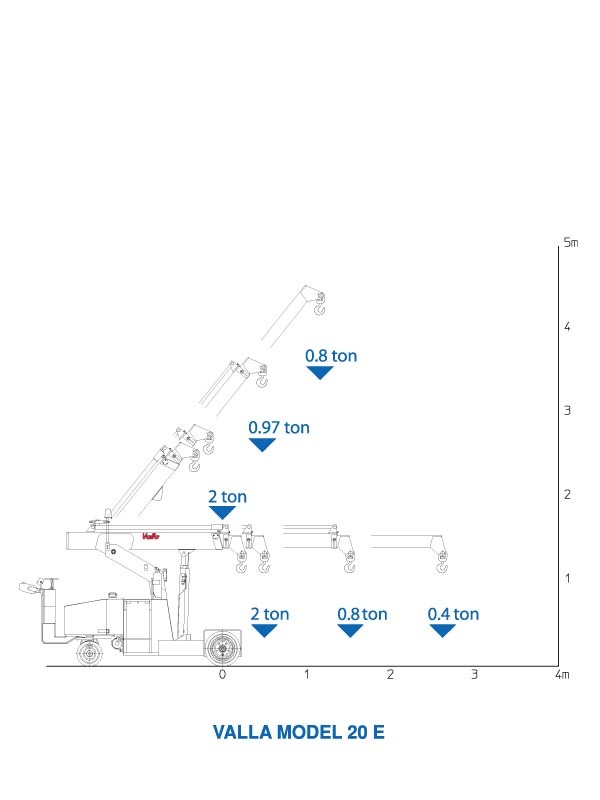 Like all Valla mini cranes they are fitted with 3B6 digital load monitoring systems, for safe and efficient lifting. 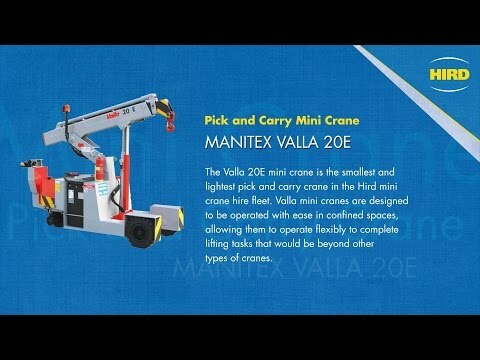 The Valla 20E pick and carry mini crane is valued by clients operating in many different industrial and commercial sectors. 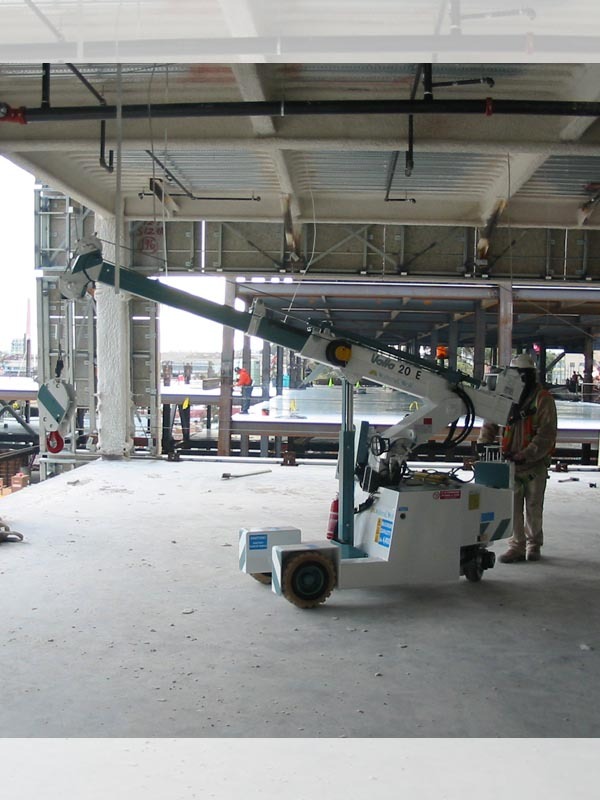 These mini cranes can be fitted with various mini crane attachments to perform material handling and lifting tasks. 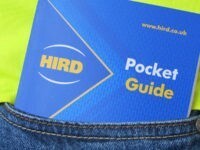 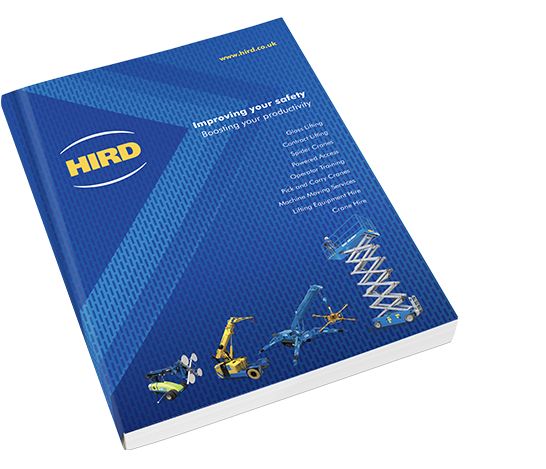 Hird can provide fully-trained pick and carry mini crane operators, experienced in all the sectors above. 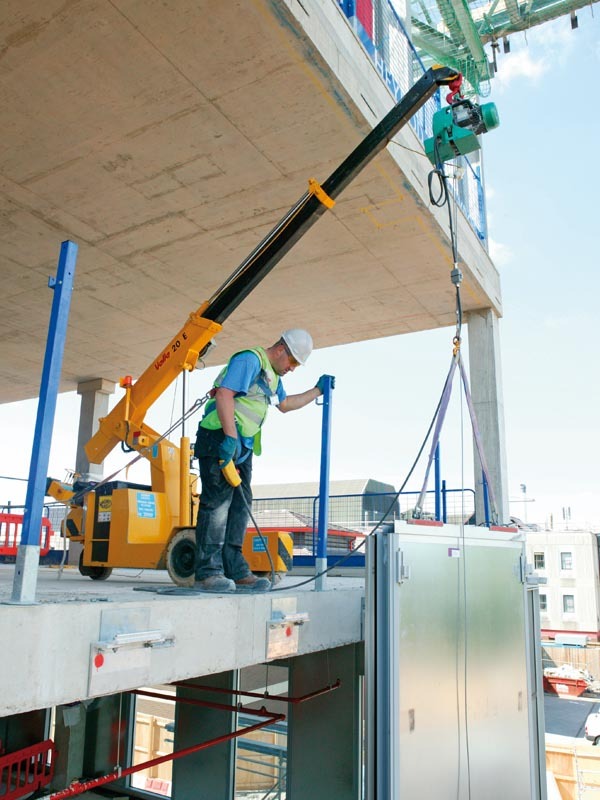 We can also provide a contract lifting service, if required. 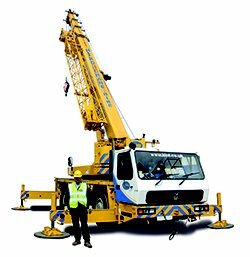 Contact us today to find out more about Valla diesel pick and carry cranes, and our mini crane hire rates.